Advance Case Loans was formed in order to meet a need for those victims who are involved as claimants in their personal injury or other legal claim. These victims are first faced with an injury or other circumstance that causes stress on their lives. Next, they incur the financial stress of their inability to work or go about paying their daily living expenses because of some type of legal claim. As their attorney, you have the responsibility of pursuing their legal claim but also of getting the client compensation for their legal claim. While the claim is pending your client may be unable to pay their rent or other daily living expenses like providing for their families. You will receive phone calls from the client inquiring how long the case will take, when can it be settled, and what you can do to move the case along. This puts additional pressure on the attorney as the defendant or their insurance carrier sit back and try and wait the process out as long as they can to gain an advantage. In the interim, your client gets more desperate, puts more pressure on you and in turn a case can be settled before you can get maximum value or worse yet they hire another attorney in hopes of getting the case resolved quicker. At Advance Case Loans LLC, we understand your dilemma. We work with you and your client to help alleviate the stress and pressures of waiting out the litigation process. Our rates are competitive in the marketplace. As a licensed financial institution, we offer the additional protection to you that we are complying with the laws of the State of Illinois Department of Financial Institutions. We try and work with your clients to help them get through this stressful time by providing financial assistance to those who are in need with the only collateral being their legal claim. We make every effort to work with you and your client to make sure our loan does not interfere in your claim, but rather assist you, the attorney, to maximize the results. 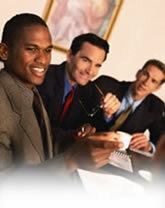 We understand what you, the attorney, have to do to achieve successful results.